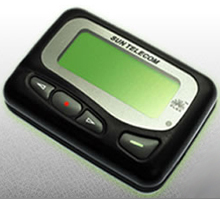 The ST-800 Plus, Sun Telecom’s Best Selling Numeric (Flex) Pager. Built for today’s life style, the ST-800 Plus is rugged yet stylish and blends well with all day to day activities. 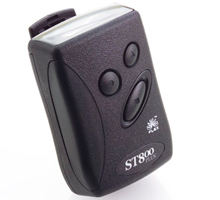 The ST-800 Plus is well on its way to taking the place of the motorola LS850. 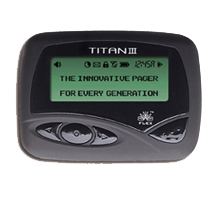 Titan3 (Flex), Sun Telecom’s Best Selling Alpha-Numeric pager. The Titan3 offers enhanced features and advancements that keep it on the leading edge.The best replacement pager for the Motorola Elite. The T4 Flex is Sun Telecom’s newest Alpha-Numeric pager. It comes complete with a 6 line lcd and auto backlight. The T4 also features an emergency alert for those pages that you just can’t miss.